On April 10, 2019, Arizona Gov. Doug Ducey signed HB 2569 into law. The new law establishes reciprocity for occupational and professional license or certificate holders who come to Arizona from out-of-state. In an interview, Robin Schaeffer, Executive Director of the Arizona Nurses Association, clarifies what the bill means for nurses in Arizona. The Arizona Nurses Association (AZNA) recognizes that nurses are key stakeholders in the healthcare community and take very seriously our responsibility to represent the entire nursing community and advocate for public health and the health of all citizens. The opioid crisis is a complex problem that requires comprehensive solutions. AZNA has provided leadership and its voice in meetings with the executive branch, government regulators, legislators and other health care stakeholder groups in our Arizona community. When the Governor called the special opioid session, all other business at the legislature stopped until the bill passed through both houses and was sent to the Governor to sign. This all happened in 4 days, something that is very rare. The laws that were proposed and eventually passed were unprecedented for the health care community and AZNA spent many hours providing input regarding the impact of this legislation on patients and nurses. For example, in the original language NP’s and CNM’s were left out of the section allowing them to deliver medical assisted treatment (MAT). Our two lobbyists, Kathy Busby and Rory Hays worked with legislators and senate and house staff to assure that the final language included NP’s and CNM’s. This was not easy feat considering the fast pace of the bill and the challenges getting the ear of key legislators. We were not the only stakeholder group protecting our “turf”. 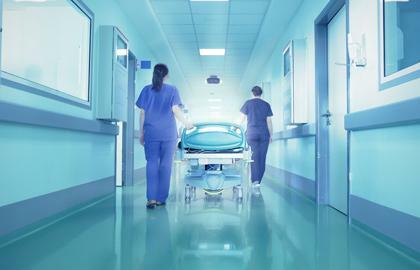 Although this bill was finally passed unanimously by the house and senate, healthcare advocacy groups such as AzNA and ArMA (Arizona Medical Association) continually urged words of caution throughout the legislative process to prevent unintended consequences. It is also noteworthy to read the article in the Capitol Times which highlights concerns by lawmakers and others the day after the vote. This is the law for now, but the conversation is not over and AzNA as well as other stakeholders will continue to identify concerns in the law and seek to address them in this session or future sessions. If you would like to learn more about how to advocate for your profession, join us at RN Advocacy Day on February 8th. This program is for novice AND advanced nurses. It is only through opportunities such as Advocacy Day, followed by visits with your legislators at the State Capitol that one can truly appreciate the impact and challenges of our work. Feel free to surf the AzNA website….our work spans 98 years! The Arizona Nurses Association (AZNA) recognizes that nurses are key stakeholders in the healthcare community and take very seriously our responsibility to advocate for public health and the health of all citizens. We also recognize that the opioid crisis has reached epidemic proportions and affects all communities, all income levels and all walks of life. The opioid crisis is a complex problem that requires comprehensive solutions. AZNA has provided leadership and its voice in meetings with the executive branch, government regulators, legislators and other health care stakeholder groups in our Arizona community. On Monday, January 24th Governor Ducey called a 1-week “special session” (a period when the AZ Legislature convenes outside of the normal legislative session) and introduced legislation that addressed several aspects of the opioid problem including prescribing limitations, community and medical education, law enforcement involvement, and access to medication assisted treatment (MAT). The laws being proposed are unprecedented for the health care community and AZNA has spent many hours providing input regarding the impact of this legislation on patients and nurses. Over the past 2 days our talented lobbying team (with input from our AzNA Public Policy team) has advocated for the inclusion of nurses in vital medication assisted treatment, the elimination of barriers to treatment and when necessary, urged words of caution to prevent unintended consequences. AZNA is pleased to announce its support of the opioid legislation. We look forward to working with the health care community, government regulators, law enforcement, patients and their families to continue to move forward to address this urgent and important issue. We expect the opioid bill to pass through the legislature and be signed into law by the governor within the next few days. There are 25 members on the AzNA Public Policy Committee which is chaired by Denice Gibson, RN. The committee reviews bills as they are introduced during legislative sessions. To see more about any bill, including the bill content and the bill status, visit AzNA Nurse's List of Bill. In August of 2014, the AzNA Board of Directors initiated a project that addressed the hospital nurse staffing issue in Arizona. Our innovative “it takes a village” approach led us to hire a professional facilitator to convene work sessions that involved a combination of a top down and bottom up approach. Participation in two small roundtables and a larger day of dialog included representation from administrators and direct care nurses, national staffing thought leaders and community partners. How do we change hospital nurse staffing to be more healing for patients and more satisfying for nurses? Our next workgroup meets in late August, 2015. An update will be posted. 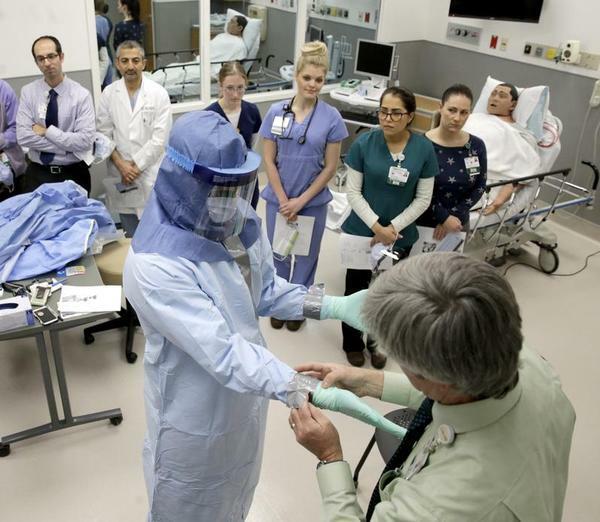 As a response to the Ebola scare in late 2014, Governor Jan Brewer issued an Executive Order to create the Governor’s Council on Infectious Disease Preparedness and Response. The 20-member Council was charged with developing a coordinated and comprehensive plan to ensure the state is prepared to manage and respond to potential outbreaks of infectious diseases, including the Ebola virus and Enterovirus, in Arizona. The Arizona Nurses Association (AzNA) is the state-based association arm of the American Nurses Association (ANA). Membership to AzNA automatically gets you membership to ANA. ANA's abiding commitment to the human rights dimensions of health care can be found here. A Healthy Work Environment is one that is safe, empowering, and satisfying. The world of professional nursing practice and health policy is ever evolving to meet the new dynamics of care needs in every setting. In order to effectively address these changes, ANA uses Professional Issues Panels to drive toward informed decision-making, member engagement and active dialogue with members. For over 100 years, ANA has worked to improve patient safety by promoting quality in nursing care and nurses’ work lives. ANA advocates for nursing quality through quality measurement, research and collaborative learning. Recent efforts have included translating traditional quality measurements into eMeasures as well as the development of a streamlined tool to prevent catheter-associated urinary tract infections (CAUTIs). Leaders do more than delegate, dictate, and direct. Leaders help others achieve their highest potential. At ANA, we empower nurses to be professional, competent leaders in healthcare. Through a variety of educational and advocacy activities, our work increases the leadership capacity of nurses to advance health and lead change. From state legislatures to the White House, nurses have a unique opportunity to lend their expertise in influencing policy at all levels of government. The American Nurses Association ensures all 3.1 million nurses are represented across the board and that nurses interests are not ignored by bureaucrats who lack true knowledge of the issues at the bedside. Being the #1 most trusted profession in the country allows nurses to truly take charge and make a difference in the policy arena.